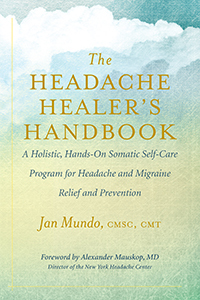 In the twenty-first century, one might wish that pain were an easily treatable nonissue. It is not. Millions of doctor and emergency room visits stem from pain, and addiction to pain medications, which is rampant in the United States, often takes root when someone in pain is attempting to manage unremitting discomfort. 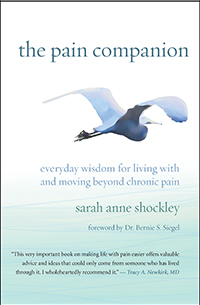 In The Pain Companion: Everyday Wisdom for Living With and Moving Beyond Chronic Pain, author Sarah Anne Shockley, who has personally lived with chronic pain since 2007, offers fellow pain sufferers a compassionate and supportive guide for living with pain that can be used alongside their ongoing medical or therapeutic healing programs. 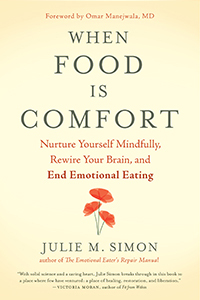 We hope you’ll enjoy this excerpt from the book. Positioned along the spinal axis, from the tailbone to the crown of the head, the seven main energy centers of the body are called chakras. 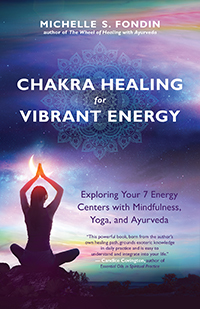 Author, Ayurvedic lifestyle counselor, and yoga and meditation teacher Michelle Fondin explores and explains how each chakra works in the seven chapters of her new book, Chakra Healing for Vibrant Energy, which demystifies the role of the chakras in facilitating healing, balance, personal power, and everyday well-being. 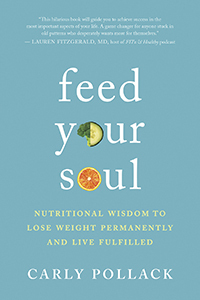 She offers meditations and visualizations, yoga postures, breathing exercises, and Ayurvedic dietary practices to learn about and work with the chakras. 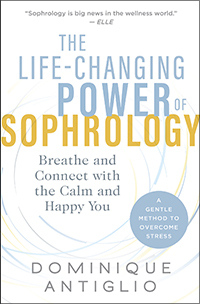 In the following excerpt, she shares some of the reasons that our chakras can get blocked and some of the first steps we can take to open them back up again for more vibrant healing.